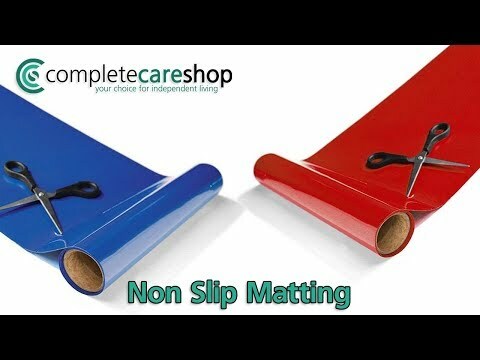 Economy Non Slip Matting - 30cm x 1m. This Blue Economy Non Slip Matting is supplied on a reel and can be easily cut to any size and shape required, making it ideal for use in all kinds of situations, wherever a grip or non-slip surface is required. The material is extremely flexible and can be used on a shelf, tray or in a drawer as well as other surfaces. This product can be easily wrapped around objects and handles, due to it being thin and bendable. This non-slip reel will provide firm grip and a secure hold for objects around your household such as cups, ornaments and plates. Tenura non slip reels are available in a very wide range of sizes and two bright colours; these are available in this area of our shop. It is fully washable and long lasting.